Question: I opened the refrigerator and found the fridge section is not staying cold. The freezer section is beginning to thaw the frozen food. I DO hear the motor or compressor running. I have NO technical skills. What is the easiest way for me to fix my refrigerator? Check temperature settings of fridge section AND freezer section. Be sure the refrigerator coils are clean and free of dust, dirt, animal hair. Check that the condenser fan that pulls air across the coils is running – assuming it should be if temps are high. NOTE: If power is going to condenser fan and it does not run, replace the condenser fan motor. If no power is going to condenser fan the problem is most likely a thermostat or faulty wiring. The defrost timer may be faulty and therefore not cooling or freezing. The run capacitor or the relay for the compressor may have failed. The small door that closes after ice drops down the chute could be stuck open. If the small door is stuck open it can allow warm air to enter into the freezer section. If the small door gets stuck, use a pencil or similar and try to snap it back into the closed position. 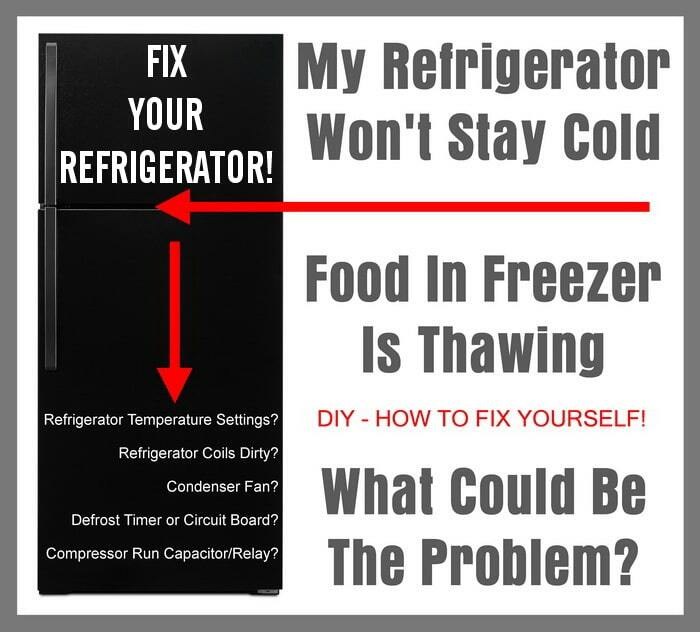 Please Note: This is intended to be a simple guide to show a person without technical knowledge how to and what to do when a fridge will not stay cold and the freezer begins to thaw. 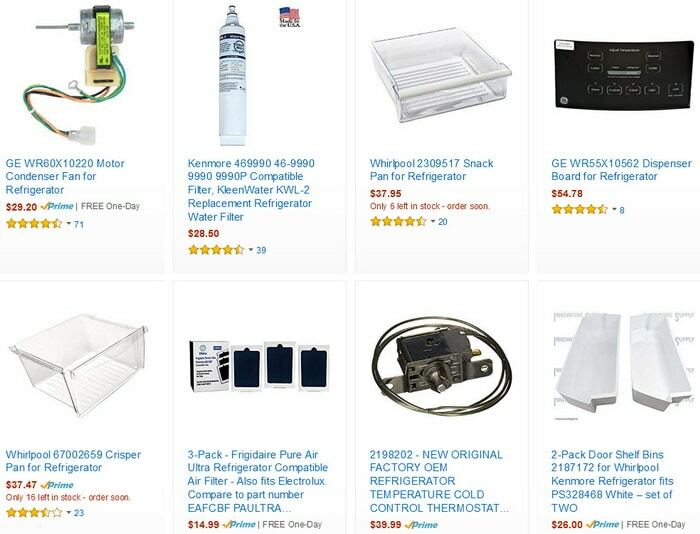 For a more technical article for Fixing a refrigerator that will not cool can be found here. Need help? Please leave a question below describing your refigerator issue and provide the model number for us to troubleshoot further. My Samsung freezer (model# rf268acrs) stopped freezing, coils clean, fan always running. Whirlpool GC5SHEXNS Side by side fridge. Refrigerator side seems to be fine but ice cream is soft on freezer side. I am going to start working on it tomorrow and will check dirty coils and fan operation. Where the door gaskets touch the main body it is very hot and I wonder if maybe stuck in defrost mode? I don’t remember it being that hot before. We have had this for 8 years with no problem. It’s been doing this now for about 2 days. The food in the freezer is still hard but with soft ice cream we know something is wrong.